31 March 2011: William A Johnson lost his bid to return as mayor of Rochester, New York, in a special election on 29 March 2011. The result was not surprising considering that Johnson ran on a third-party line and only four of the 1,265 mayors of US cities with more than 25,000 residents were elected without the endorsement of the Democrat or Republican parties. But the Rochester election, more than most local elections, exposed the power relationships that operate in nearly all American cities. 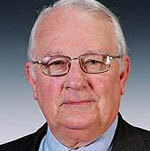 Johnson was Rochester’s mayor from 1994 to 2005. He left an indelible mark on the city. Every neighborhood boasts of prominent development built or initiated during the Johnson administration. Most notably, through a process called Neighbors Building Neighborhoods, he involved average citizens in key city decisions to a degree unparalleled, perhaps, in American urban history. When Johnson was mayor, citizen empowerment and community control were embraced by residents, but mistrusted by the business and political ‘establishment’ who, for the first time, had to share power. Johnson retired from politics in 2005 to become a Distinguished Professor of Public Policy at the Rochester Institute of Technology. Robert Duffy, resigned as the city’s popular police chief, and, with the endorsement of the Democratic Party and Bill Johnson, was elected mayor. Duffy was re-elected to a second four-year term as mayor in 2009 and abruptly resigned to run successfully for lieutenant governor of New York State - but not before dismantling most of the programs Johnson started. On New Year’s Eve 2010, the day before he became lieutenant governor, Duffy appointed Tom Richards as his successor. Richards was briefly CEO of RGS Energy Group, a major utility company, before becoming the city’s corporation counsel, or chief attorney, under Duffy. Tom Richards was sworn in as mayor in a private ceremony. The media and public weren’t invited. The official word from City Hall was that Richards was the new mayor and would serve until a general election could be held in November. According to the city charter, however, only the City Council had the right to appoint a new mayor. Instead of officially appointing Richards (or someone else), Council opted for a special election on March 29. Critics were infuriated by the way the city handled the succession process, believing that a general election was more democratic. A general election would allow enough time for candidates to organize and campaign. It would also allow time for a primary election in which the voters of each political party select a candidate to represent them. In a special election, party leaders pick their candidates. The critics said that City Council, kneeling to Duffy and party leaders, deliberately avoided appointing a mayor in an effort to engineer a Richards’ victory in a special election. A federal inquiry of the mayoral succession process was launched. Three weeks after his appointment, federal officials said there were enough questions about whether Richards was legally the mayor that he needed to resign to continue his campaign for the special election. Before he left office, Richards orchestrated a change to the city’s emergency succession plan. This plan was drawn up after the 11 September 2001 terrorist attacks to provide a process for maintaining critical city operations if a catastrophic event resulted in the death or incapacitation of the mayor. Based on the plan that was revised by Richards, City Council naming Carlos Carballada, the city’s economic development director, as acting mayor. Actually, the public was told that he wasn’t mayor, but the ‘Emergency Interim Successor’, an office with all the powers of the mayor. Carballada had come of out retirement as CEO of the First National Bank of Rochester to become the city’s economic development director under Duffy, a position not even in the chain of mayoral succession in the original emergency succession plan. The City of Rochester, which had three mayors in the previous 37 years, thus had its third mayor in three weeks. The legitimacy of Carballada’s appointment was challenged in two lawsuits, both of which were dismissed on technical grounds. Critics questioned the city’s political motivations. More pointedly, they accused the city of running roughshod over citizens’ rights. Most stories of political intrigue have a local history that is rooted in broader societal forces. These stories resonate from a distance because we recognize something familiar in them. In fact, the way power and leadership played out in Rochester mirrors that of many, many American cities. Twenty-five years ago, the most influential people in Rochester were the bankers, utility executives, newspaper CEO, and a handful of large property owners. This ‘old boys network’ (they were all men, and the families of most had lived in Rochester for generations) influenced virtually all political decisions because they guided, managed, and promoted almost all economic growth. Twenty-five years ago, it was still possible for a handful of people to manage local growth. Indeed, it was in their self-interest. If they wanted to sell more newspapers, open more bank accounts, or fill a new office building, the local market had to grow. The local market was the primary source of growth because these businesses were protected from competition. Banks at that time couldn’t be bought across state lines. Utilities were monopolies. The largest-circulation daily newspaper in Rochester was also a monopoly and rarely saw serious competition for readers or advertisers. Developers were the least protected, but they shielded themselves through personal connections. By the nature of their work, developers, bankers, and utility executives were involved in a lot of different businesses. This gave them a broader view than most and an important set of connections. They also acquired good political connections by virtue of being regulated (banks and utilities), partially regulated (developers and property owners), or highly dependent on politicians to provide the content of the product they sold (newspaper publisher). This was the time when Tom Richards, the ‘acting mayor’ who resigned under federal pressure, and Carlos Carballada, the ‘emergency interim successor’ to the mayor, came of age as corporate executives. Today, it’s a different world and a different Rochester. The traditional businesses have been bought up, broken up, or deregulated. New executives move to the area, only to stay a year or two before moving on. Yet the small, exclusive old boys network (which now contains a few sons and daughters) struggles to hold on to power. Often, their main claim to power is that they are wealthy, either by birth or, like Richards and Carballada, by negotiating a rich settlement package for themselves when they sold or merged their businesses. Tom Richards ended his two-year tenure as CEO by moving the company’s headquarters out of Rochester in a merger with a larger utility, laying off 225 workers, and negotiating a reported $10 million severance package for himself. Carlos Carballada, while promoting himself on television as the community’s only ‘local banker’, quietly arranged the sale of the locally-owned bank he ran to a larger, out-of-town institution with a reported $4 million payout for himself. Both mergers were accepted by the public with a shrug, typical corporate behavior in a global age. The old boys network was dominant in Rochester for so long that the community had lost the ability to think about power and leadership in any other terms  until Bill Johnson became Rochester’s first and only African-American mayor in 1994 and shook the traditional power structure. 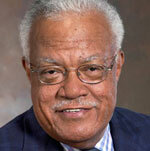 Bill Johnson was born and raised in the segregated South during the Civil Rights era. He came to Rochester as an adult to lead the fledgling local chapter of the Urban League, growing it to a nationally-recognized community development and empowerment organization. Johnson won the Democratic nomination for mayor in 1995 in a bruising primary that featured nine candidates. The framework for working together was Neighbors Building Neighborhoods, or NBN, a form of open and consultative governance that invited community participation and drove the city’s planning, economic development, community development, capital improvement, and general budget processes. NBN placed a high priority on the needs of minorities and the poor; balanced downtown and the neighborhoods and other forces within the city; and encouraged partnerships among citizen groups, businesses, nonprofits, and universities for neighborhood development. Most local media attention focused on a handful of very large projects, such a $100+ million initiative to restore the city’s port area, including a passenger ferry across Lake Ontario to Toronto, and, in partnership with the county and local transit authority, a project called Renaissance Square to demolish and reconstruct a prominent part of downtown Rochester. However, the hallmark of the citizen-driven Neighbors Building Neighborhoods process was hundreds of small, but cumulatively transformative, neighborhood development projects. NBN effectively changed how the city operated. What Bill Johnson did by allowing residents meaningful input into land use planning, economic development, and the city’s budget process was give the city’s power structure a nexus that was better aligned with the demographic and economic shifts that had affected the Rochester region over the previous 25 years. “When it comes to neighborhood leadership, we’re on our own”, Johnson insisted, expressing a vision of the city that prioritized local needs over the needs of global and corporate interests. In Johnson’s mind, the time of the old boys network was over. Other forces, however, conspired to restore it. The contest between giving power and grabbing power always has a political dimension. Six years ago, following the retirement of Bill Johnson, Bob Duffy received the Democratic nomination for mayor. In Rochester, where registered Democrats outnumber Republicans by more than three to one, whoever receives the Democratic Party’s endorsement is essentially crowned mayor. Still, Duffy’s campaign was remarkable for its shallowness, a lot of rhetoric about reducing crime and creating jobs, with few specifics. Upon election, Duffy fired nearly all of the city’s senior management, replacing experienced public servants with prominent members of the local business community - the old boys network - none of whom had worked in government. Duffy’s signature initiative for his first term was the rollback of Bill Johnson’s signature initiatives. During his first full week in office, he stopped the ferry service to Toronto, proclaiming it a failure though it was less than one year into its three-year operational plan. Duffy rolled back Neighbors Building Neighborhoods in every aspect but the name, turning the neighborhoods into ‘advisors’ and centralizing all decision making in City Hall. Poverty was uniformly treated as pathology-based rather than inequality-based. “Poverty is not an excuse,” Duffy often asserted. “Tired of excuses”, he replaced the city’s community policing strategy with zero tolerance practices that brought large numbers of young African-American men into the criminal justice system and alienated large portions of the minority community. The city’s comprehensive master plan, downtown plan, and neighborhood plans  developed during the Johnson administration  reflected the ideas of residents regarding relationships between zoning and physical space, as well as strategies for enhancing the social and economic fabric. These were ignored by the Duffy administration; indeed, they were removed from the city’s website. Though a strong proponent of downtown development, often at the expense of neighborhood development, Duffy abruptly stopped the $230 Renaissance Square plan to revitalize a major downtown Rochester intersection - and the years of regional planning and cooperation that went into it - ostensibly because of concerns over design, but more plausibly to embarrass the popular County Executive, a Republican, who championed the project. Across the street, Duffy began his own massive redevelopment project that commits the city to substantial infrastructure investments and financial subsidies to developers, but doesn’t identify the funds to pay for them. The smaller projects started by the Johnson administration that the Duffy administration couldn’t stop, they repackaging as their own. “Johnson carried the ball 95 yards and Duffy carried the ball the last 5 yards and took all the credit for scoring a touchdown,” said a former senior official in both administrations, using a comparison to American football in which a player must traverse a field 100 yards long to score. However, projects’ scopes were frequently changed without consulting the citizens who had originally designed them. Often, it appeared that City Hall saw the neighborhoods primarily as opportunities for meeting the needs of private sector developers rather than residents. Insularity from every stakeholder outside the Democratic Party apparatus became the standard of the Duffy administration. Because he was an incumbent Democrat, Duffy cruised to re-election in 2009 - he ran unopposed - without having anything approaching a serious public conversation on his record. The signature initiative of his second term was an attempt to gain control of the city’s independent public school district and its $700 million budget. The quest was extraordinarily divisive in no small part because Duffy conducted no outreach to the communities it would effect. He asked few questions, and listened to fewer answers. As with NBN, Duffy was more interested in centralizing power than in communicating with citizens - though he courted the media. Duffy, a charismatic and attractive politician who is clearly relaxed in front of television cameras, remained personally popular with the public, though his major initiatives regarding schools, economic development, and public safety were deeply controversial. Shortly after promising to gain control of city schools no matter what and threatening those who opposed him - “It’s my line in the sand,” he said - Duffy resigned to be lieutenant governor, a fitting capstone to a career that truly began with his resignation as police chief. To replace him, the Democratic establishment hand-picked Thomas Richards, and it fought tooth and claw to keep him from having to go before the voters in a legitimate electoral campaign, from having to debate in any substantive way the options for Rochester’s future. The six years in Rochester since the retirement of Bill Johnson saw the explicit movement of power away from citizens and voters and toward a Democratic establishment and mayor’s office that cloaked themselves in the rhetoric of empowerment but believed their own experts know best. Insularity became governing policy. The mayoral succession debacle was therefore not a new power grab, but a continuation of one that began when Johnson retired. Johnson’s entry into the mayoral special election thus frightened the political and business establishment. Whatever the ups and downs of his administration, Johnson was always more available to citizens than to power-brokers; political and economic power were always shared. Every plebiscite is shaped in some way by the geography in which it occurs. The Rochester metropolitan area is somewhat of an anomaly in Upstate New York, a region of the United States that has endured heavy manufacturing job losses over the past 25 years. Unlike most of its peers, the Rochester metropolitan area has slowly gained population and, until the current recession, jobs. The growth, however, is not even. While most of the suburbs and all of the exurbs grew, the City of Rochester - which is fully built-out and legally cannot expand geographically - steadily lost residents and jobs. Even within the city, growth is uneven. Between 1990 and 2010, about a third of the city’s neighborhoods gained population and are clearly enviable places to live; a third lost people and are obviously distressed; and a third remained about the same and can be considered “transitional” between relative health and decline. The neighborhoods align, not only geographically, but also according to race and income; the most prosperous neighborhoods are also the whitest. The two main candidates, Tom Richards and Bill Johnson, conducted a generally positive contest in which each candidate highlighted his own attributes and rarely resorted to personal attacks against his opponent. Unmistakably, however, the campaign was waged against the backdrop of regional economic decline and urban class resentment. Johnson portrayed himself as an experienced city manager who wouldn’t be co-opted by insider special interests. He readily admitted that he didn’t have all the answers to move the city forward, but said he would tap into the best minds and innovative ideas from Rochester’s 19 universities, as well as from newly-empowered residents. Richards insisted his business experience would be instrumental in bringing new jobs and economic development to the city, and said his priority was “implementation, not planning”. Richard’s, the major party nominee and therefore apparent frontrunner, seemed careful not to say anything that might offend anyone. Johnson, for his part, annoyed the business establishment by questioning the ethics and sustainability of providing massive public financial subsidies for private developers, a practice that Richards asserted was necessary to attract private investment. Both discussed the cuts, efficiencies, and re-allocations they might adopt to close the city’s projected budget deficient. The debate on budget priorities had undertones of long-standing community anxieties, such as downtown interests versus neighborhood interests; poor versus rich; and black versus white. The Green Party nominee, a young, articulate, small business owner, generally echoed the views of Bill Johnson, and threatened to be a “spoiler”, denying victory to one of the other candidates. Tom Richards raised and spent more than twice as much money as the other two candidates combined. Most of Richard’s campaign contributions were large donations from corporate interests. Johnson and the Green candidate garnered many small donations from individuals. Richards was endorsed by business groups; Johnson by labor unions. City Hall treated Richards as if he were the incumbent mayor, announcing new neighborhood projects daily during the final two weeks of the campaign in a transparent attempt to portray Richards as a man of the people. The mainstream media covered the campaign as a series of ‘what if’ scenarios  What if you did this in this situation? What if you did that instead?  as if the individual actions of a mayor could alter the city’s course. Both the media and citizens were right, of course. Urban decline and revitalization in Rochester and in America are products of uneven development, global economic restructuring, and public policy at all levels of government. Decline and revitalization are also shaped by mayoral politics. Mayor Bill Johnson quickly re-shuffled the city’s power structure, giving the grassroots a leadership capacity they never had before. Mayor Bob Duffy even more quickly co-opted grassroots community leaders, intimidated potential and actual opposition, and restored the old boys network of privilege and patronage. The election results were: Tom Richards, 48 per cent of the vote; Bill Johnson, 43 per cent; and the Green Party, 9 per cent. In America’s winner-take-all electoral system, a candidate can take office without receiving a majority of the popular vote. In the end, the dedicated volunteers of the third party candidates could not overcome the professional, well-funded Democratic Party machine. Johnson and the Green Party candidate split the progressive vote, handing the victory to the conservative Richards. The vote also divided along race, class, and age lines, with Johnson getting most of the votes in minority, poor neighborhoods and the Green Party running well among university-age voters. The most dependable, ‘prime’ voters in American elections  elderly whites  turned out for Richards. Voter turnout was relatively high, owing no doubt to the vigorous public debate during the campaign, which would never have occurred without Johnson in the race to provide more than token opposition for the Democratic Party nominee. “In the five years Richards was at City Hall, I never saw him at a single neighborhood meeting,” a community activist stated at a public forum before the election. By being forced to crisscross the city and publicly debate the issues, Richards was forced to hear firsthand residents’ concerns. The question is whether or not Richards really listened and will now recognize the contributions that people at all levels can make. The real question, in essence, is whether or not the campaign will make Richards a better mayor. The more realistic assessment is that Bill Johnson’s bold - even radical - experiment in citizen empowerment is likely over in Rochester. Without the unifying focus of Neighbors Building Neighborhoods, or a City Hall that enables meaningful participation by all citizens in decision-making about physical development, community leadership in Rochester will likely dissipate and fragment and - like that of almost all other American cities - be reactive rather than truly progressive and proactive.